Ever since going to Mexico City about five years ago to visit number one daughter ( The svelte Blond) and her family ) I have become addicted to Avocados and poached eggs. And so it would appear that the rest of the world has also fallen in love with Avocados, at least. According The Telegraph a couple of months ago, the world demand for Avocados ( a Mexican staple) has caused Strikes in Mexico and a crime wave in New Zealand! £128 million was spent in the U.K. On Avocados, which was more than what was spent on oranges, last year. The UK demand has risen by 1/3 year on year. Coupled with poor seasons in New Zealand and California Avocados have reached world high prices. The Mexican farmers obviously want their share of profits as well, hence the strike. The UK gets most of its Avocados from Chile, Israel, Peru and South Africa, but in the meantime there has been a drought in South Africa and China has put in a demand for 10,000 tons of the green fruit annually! 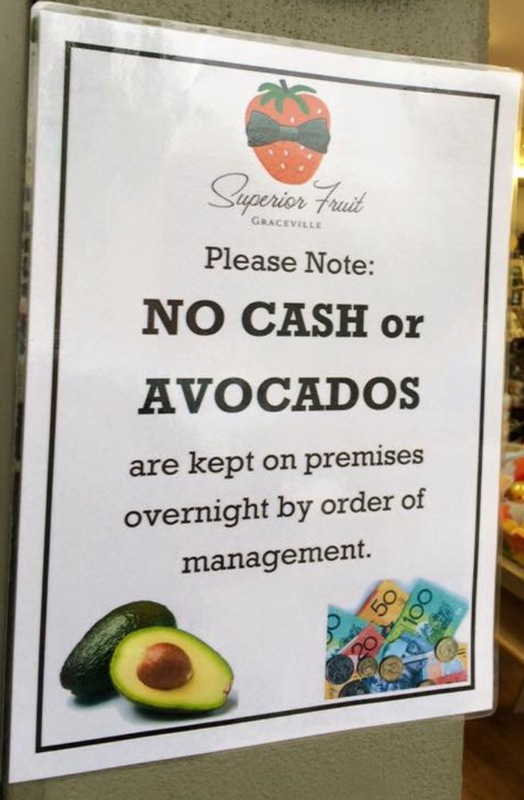 Theft from Avocado farms in New Zealand has become common place and in Australia some are equating Avocados with Cash! Hence the amusing picture from the Telegraph, taken outside an Australian supermarket! Many restaurants, both large and small now in London at least, have started serving this my current favourite breakfast. 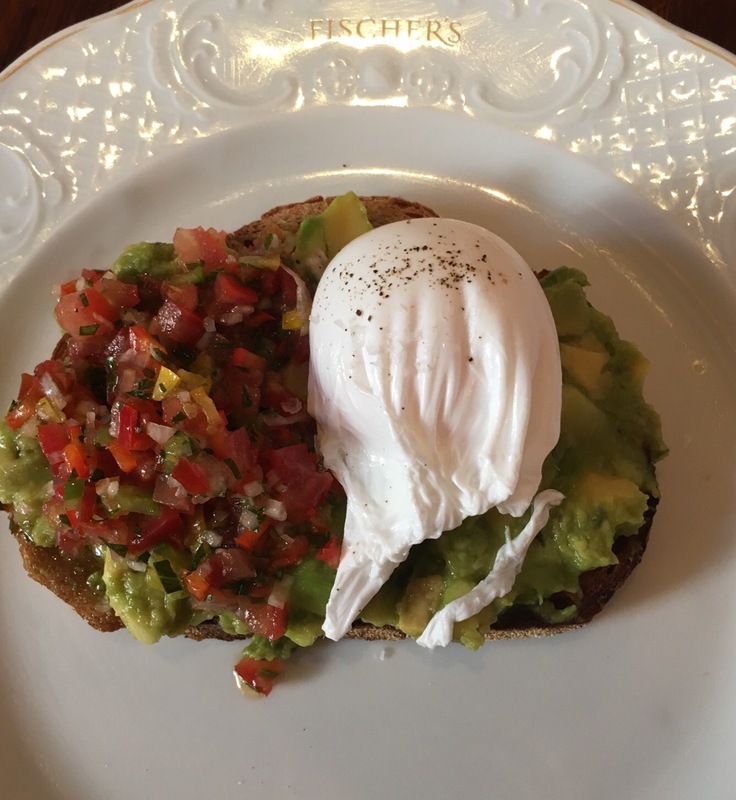 I feel I am on a mission to find the perfect Avocado breakfast ( apart from me cooking it myself that is) ! Lardo in Condesa Mexico City is pretty much perfect, but sadly that is a tad too far to go for a regular “Fix”. The newish chain of “Bills” does a fairly satisfying version and there is one such restaurant just around the corner from my home. The Famous Ivy restaurant and now all of the “Baby” Ivy cafes also serve Avocado with poached eggs. This version I am less keen on as they serve it on toasted granary bread! Ugh! It goes soggy just looking at the smushed Avocado and when it is served with the poached eggs and a delicious sesame sauce, might just as well have the toast on the side as it ends up being a bit like a soggy bath time sponge! My current favourite cafe in which to to eat my current favourite breakfast is Baker and Spice on Elizabeth Street, a smart street, halfway between Victoria and Sloane Square. Full of small independent shops and cafes, Baker and Spice is a cafe come bakery, come deli. A few tables inside and half a dozen or so outside which come supplied with blankets to snuggle under if the weather is chilly. Too lazy to smush your own Avocados? But want to eat at home, then head to Selfridges food hall and there one can find a Baker and Spice stand, selling much of what is available in their Elizabeth street store. 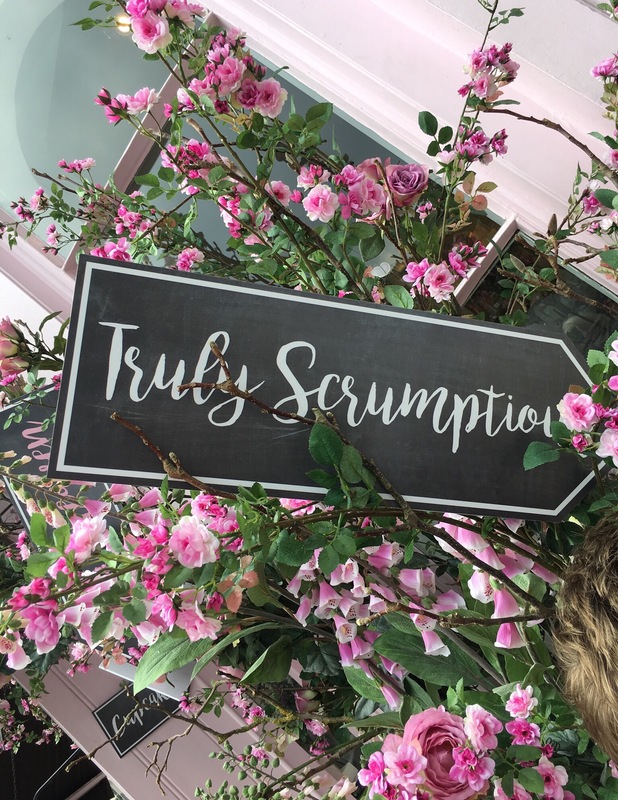 Last week however, for a birthday breakfast, we tried a new venue, not new in so much as, being physically new, and not New as a restaurant for us, but newish for us for breakfast. This is, a sister restaurant to The Wolseley. 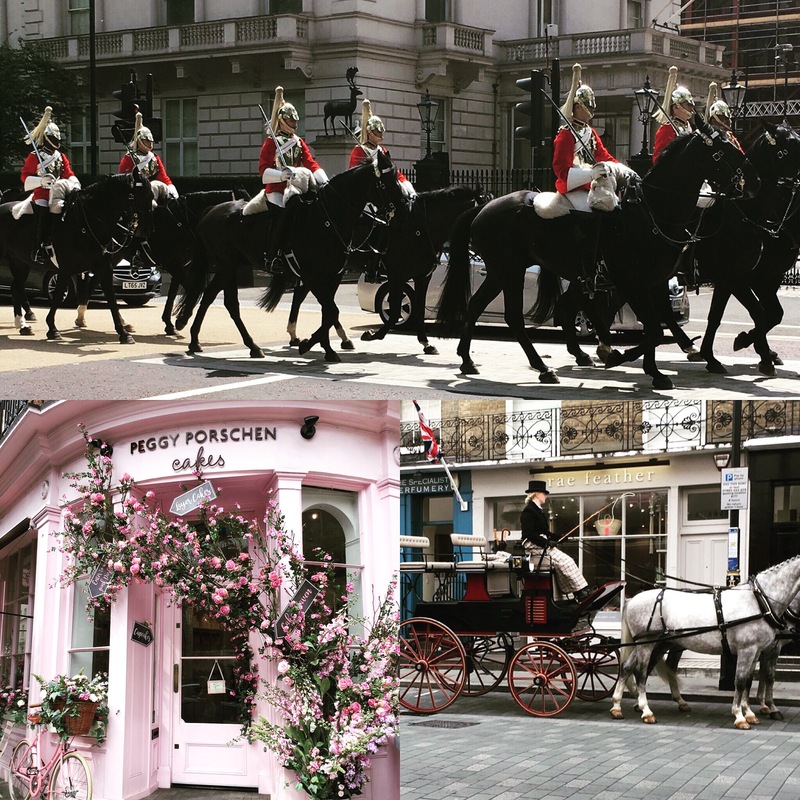 Fischer in Marylebone is much more low key than some of its other sister restaurants ( The Delaunay, Colbert, The Wolseley) it is based on an Austrian theme, more like a smart hunting lodge. And they now have Avocado breakfast! This time it was served on Sourdough with poached egg and a tomato salsa! Yummy, so now I have three go to places, Bills, being almost next door, Baker and Spice, ( the preferred one, but further to go) and Fischers ( walkable). 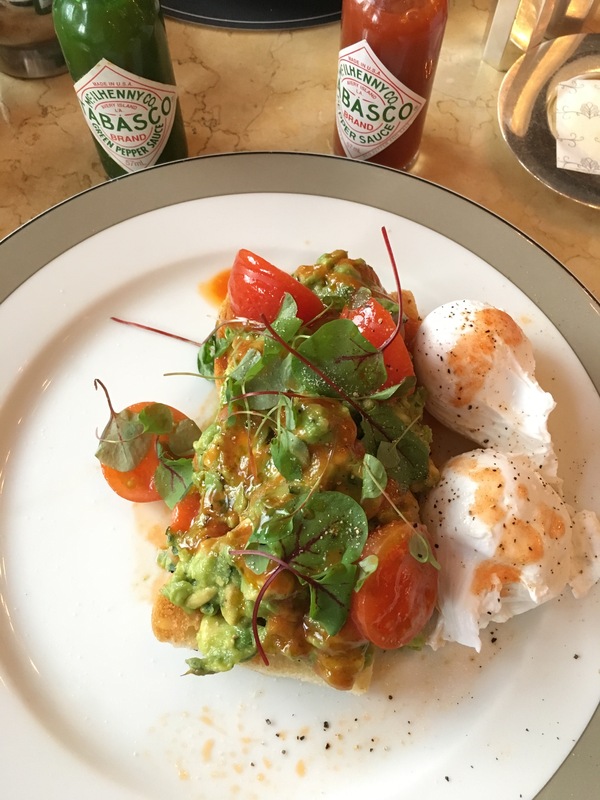 Above are some pictures taken in London recently and below two examples of Avocados on Sourdough toast. Of course super simple to make at home but sometimes it is nice to be treated and eat out, especially when it is with the lovely willowy brunette.